With "Installed Programs" module Total Uninstall analyze the installed program and create the installation log. 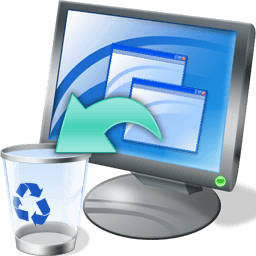 This is used to do a complete uninstall even without the help of the provided standard uninstaller from Add Remove Programs. With "Monitored Programs" module it helps to monitor any changes made to your system during the installation of a new program. It allows you to perform a complete uninstall without having to rely on the supplied Add Remove program, which can leave files or changes behind. Total Uninstall creates a snapshot of your system prior to installing a new application. It then takes an additional snapshot after the installation has completed. It then compares the two snapshots and displays all changes in a graphical tree view, marking all registry values and/or files that have been added, changed or deleted. Total Uninstall saves these changes and if you decide to uninstall the application, it will reverse the changes to the previous state.